‘C’mon now what could be so difficult about selling something online’, you think. After all, you don’t have a physical store to manage, no staff to handle, no wages to be paid, no worrying about footfall etc. It’s an online business and the audience is huge. It can’t be that difficult to get traffic online. Well…my friends you couldn’t be further from the truth. Global web sales nearly touched $ 3 trillion in 2018. E-commerce industry is growing and the trend is likely to continue in the near future. What was once a monopolistic market with just Amazon and eBay has turned into a competitive sphere with emerging names like Alibaba, Walmart, FlipKart, Rakuten etc. So you can well imagine the level of planning, strategic thinking and operational excellence that is required for an e-commerce business to click. Today online stores are not just about listing and selling those products. In fact it wouldn’t be wrong to say that e-commerce stores today don’t just sell products, they sell experience. The entire experience of shopping online and it is up to you to make that experience count. Every element of the business matters here and choosing the right e-commerce platform is vital to the success of your business. It is the backbone of your entire online business. Why choosing the right ecommerce platform is so important? Ecommerce platform acts as the foundation on which your business would flourish. It is the ecommerce platform that dictates the scale of operations, the features of your store, the services it would offer, the design, UI,UX etc. So what exactly is meant by an ecommerce platform? These are essentially software applications that enable businesses big and small to execute essential functions like inventory, shipping, payment, order management, marketing etc both front-end and back-end. These help you streamline how your business interacts with clients, customers, employees etc. The best e-commerce platform is not the one that is easiest to use, most reasonable or with the highest features, rather the best platform for you is the one that meets all the objectives and goals that you have set for your business. Every e-Commerce platform is different in terms of its functionality; features etc and what is good for you may not be good for me. This is the case where your business belongs to a specific niche and requires certain specific features and requirement that no ecommerce platform will be able to fulfill it. 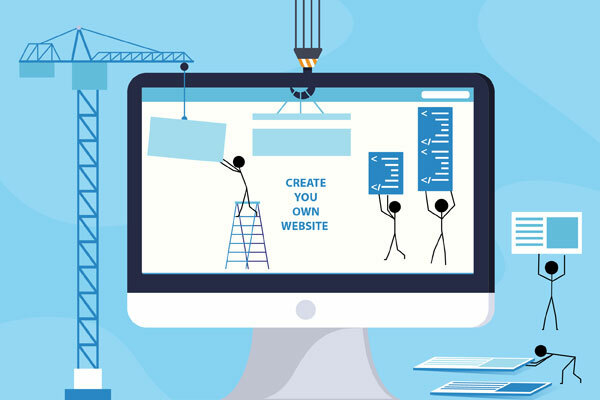 In that case its best you hire an external developer to build a customized website as per your need. However with the large number of e-commerce platforms and wide range of features available, this method is hardly resorted to by entrepreneurs today. Traditional Platforms – In these types of platform, you just purchase a license fee (renewable annually) and then get the developers and coders to customize it as per your requirement. These are basically self-hosted platforms where you have to purchase hosting and then develop your site. You have relatively more control over critical things like hosting, design, plug-in etc. A typical example of open-source ecommerce platform would be Magento and WooCommerce. We’ll get into more details of it later. Cloud-based Platforms – This is a fully developed vendor-hosted e-commerce platform in which the vendor hosts and manages all your data on the cloud. You will still need IT staff to install upgrades, enhancements, bug-fixing etc. The cost is comparatively less as there is no initial cost and you just pay the subscription cost for using the software. 3D cart is a cloud based e-commerce platforms in the market. 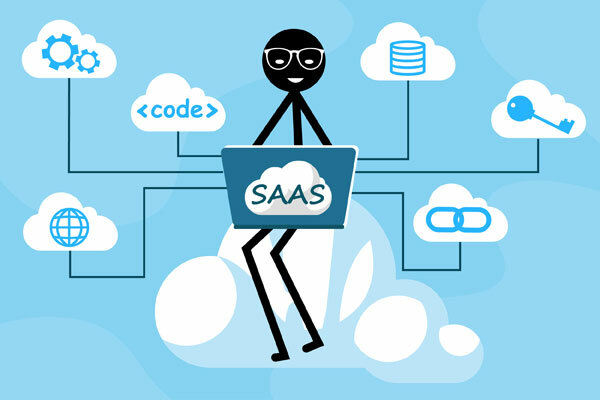 SAAS essentially stands for Software-as-a-service. It is similar to cloud-based platform as the hosting is managed by the vendor but goes a step further to include the complete bundle including hosting, upgrades, maintenance, backups and tech support. It’s super-easy to use as the store-owners can directly open it on their internet-browser and access through their personal dashboard. Shopify is a very good and the most popular SAAS ecommerce platform in the market today. Wix – A website builder that helps you develop an e-commerce store. It is hosted by the vendor so you need not worry about that. It is easy to use and good for beginners. It used a drag and drop method to design and place content on your site. It comes with additional plug-ins for added features. Since it is not a full-fledged e-commerce platform, the e-commerce capabilities are a basic. BigCommerce – Another one of hosted e-commerce solution that is available both as a full SAAS software and as a shopping cart for other websites. It’s similar to Shopify in terms of functionality and ease of use and very popular amongst small and growing e-commerce businesses. It has its own extensions for additional features although they come at a price. Shopify – A clear winner in the list of e-commerce softwares. It’s a fully hosted cloud-based solution that allows to run and manage your e-commerce business from the word go. It has wide range of features and additional extensions and apps for you to customize your e-store as per your business needs. Some of these apps and extensions are free while some are paid. WooCommerce – Again, not a proper e-commerce platform, WooCommerce is a word-press based e-commerce plug-in that allows you to add e-commerce functionalities to your existing word-press website. It is easy to install, set up and customize. Ideal for small e-commerce businesses and start-ups. Magento – An open-source website platform, that has gained popularity because of its reliability and scalability. Suitable from small and medium-sized businesses to large-sized corporate. It has most advanced features and technologies that you might need to scale your business operations. However, the downside is that enterprise version is a bit pricey and not for non-techies. You would need help from programmers and developers. In case you don’t have one in-house, consider the additional cost of hiring or outsourcing third-party developers too. This is by no means a complete list of e-commerce platforms available but the most popular ones in terms of ease of use, scalability etc. Remember an e-commerce platform is not a one-size fits all solution that works for everyone. All platforms are different and built for different business requirements. Business models, scale of operations, technical knowledge, cost etc all play an important role on determining which platform would be the best for you. Do a thorough research; consider costs, features that you would need future scope of expansion etc while going through platforms. Do your homework well, take an informed decision and watch your business grow. Good Luck!